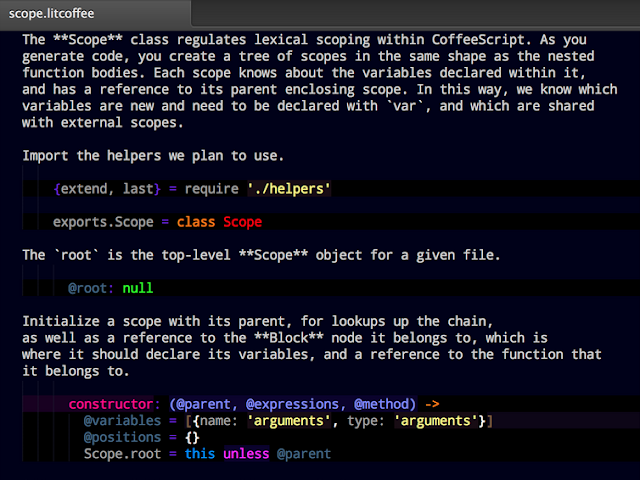 CoffeeScript 1.5.0 was released Monday! Although CoffeeScript Love is still anxiously awaiting support for source maps, this release contains something really cool. Version 1.5 introduces Literate CoffeeScript, an implementation of literate programming, which now enables you to generate plush, Markdown-based documentation from your CoffeeScript programming code. That CoffeeScript creator Jeremy Ashkenas enthusiastically pushed through this feature should come as no surprise. It is a natural extension of his earlier Docco project. Docco uses a side-by-side layout for commentary and code, whereas Literate CoffeeScript appears to be inline, but they both look fabulous. I really admire Jeremy's attention to aesthetics in these projects. 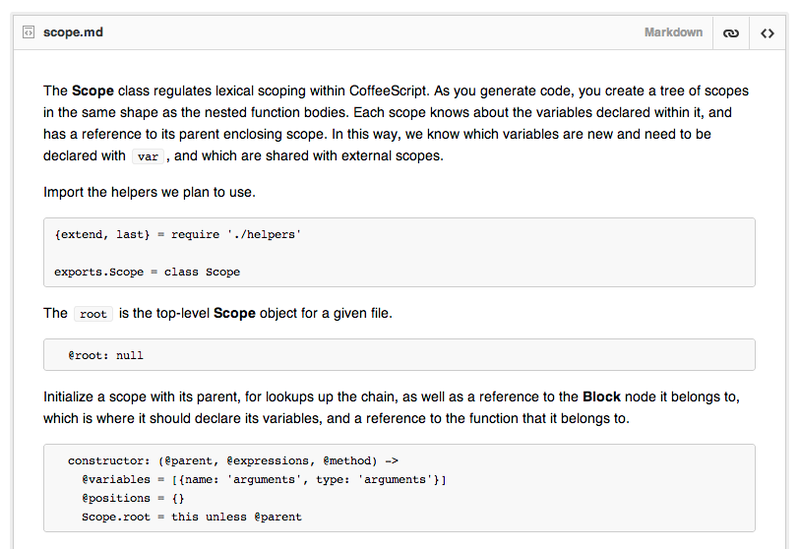 Just take a look at this initial example from the CoffeeScript compiler. This is how the source for the same output looks in a text editor with syntax highlighting. 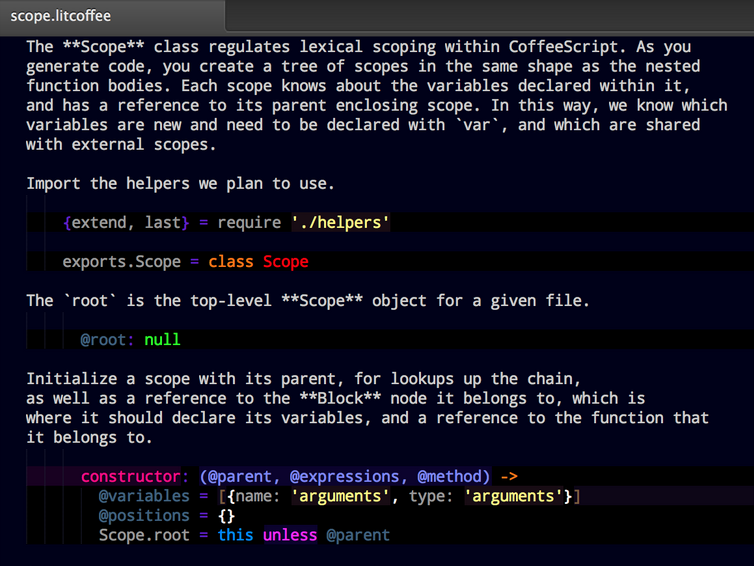 So, if you're writing a library in CoffeeScript, consider doing it literate-style. And if that isn't enough excitement for one day, for item in list by -1 now enables you to iterate backwards! Published at DZone with permission of Chris Smith , DZone MVB. See the original article here.